What a better way to show off the Christmas Spirit with these magic of wearable Christmas lights (LED and battery-operated). 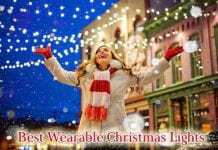 Here are the top 8 best affordable wearable LED lights. 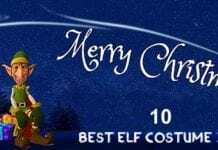 With these 10 best Christmas Elf costume ideas for all ages, you will find the perfect one for you and your entourage! From mom to baby, here are the Christmas Elf costumes for the entire family! Tinkerbell has the perfect blend of whimsy and beauty to make your next costume event magical! From tutus to t-shirt dresses we have compiled the ten best places to find the Tinkerbell costume ideas of your dreams! 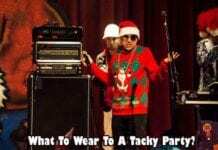 Costume events allow you to get in touch with your creative side while having a ball. 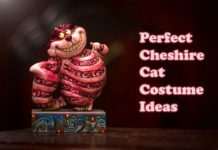 Whether you’re on a budget or a dazzling makeup artist, here are the ten Cheshire Cat costume ideas for your next Halloween party! The DIY scarecrow costume ideas have a lot of variations, from no-stitch options to projects that feed your inner crafty. 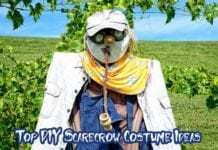 No matter what you choose, here are ten top scarecrow costume DIY methods. 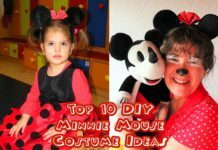 Minnie Mouse Costume Ideas: Everybody loves to dress up, whether it is for Halloween, a staged performance or just a good old-fashioned costume party. One costume that gets a lot of focus during these events is the beloved Disney icon Minnie Mouse. Skeletons are a favorite for Halloween costumes, and making one yourself can be pretty easy if a little time spent. 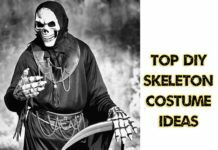 We've gathered the 10 best skeleton costume DIY ideas for babies and toddlers to adults and even dogs, you'll be able to go as a whole family of skeletons. 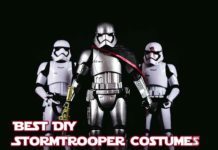 Stormtrooper Costume DIY Ideas: It's that time of year again! Everyone's gearing up for Halloween (trick or treating) and wracking their brains to figure out their costume. Adult or child Stormtrooper costume run the gamut from the very simple to the extremely complicated. With Halloween coming up it is time to decide on a costume. What do you choose? 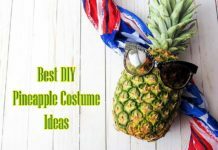 The requirements may be simple, stylish, artsy or on a budget, & if you need that variety to choose from, you should consider these DIY pineapple costume ideas.